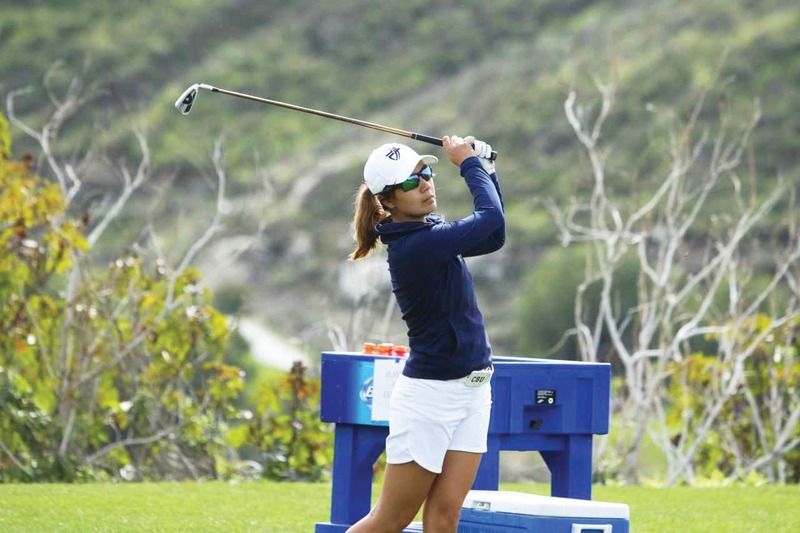 Samantha Martirez, junior journalism and new media major, has contributed to the women’s golf team at California Baptist University for three years. Martirez is originally from Manggahan Pasig City, Philippines. She was introduced to golf by her father when she was 10 years old. “I remember watching Tiger Woods on TV and I was like, ‘I want to do that’,” Martirez said. One of her goals was to get a scholarship to play golf in the United States. She had never heard of CBU until an alumnus reached out to her, telling her CBU was interested in having Martirez join the team. “When I toured the campus, I really liked the school atmosphere,” Martirez said. Marc Machado, head coach of women’s golf, said Martirez stood out to him because of her world-traveling experience. “She has played in so many tournaments in different states and different countries, and she has a wealth of experience and accomplishments at a young age,” Machado said. Erica Wang, senior business administration major, said Martirez’s experience in golf has taught the team in many ways. In the Philippines, Martirez went to an all-girls school and was homeschooled her last two years of high school. She said she experienced culture shock when she came to the United States. Martirez said the biggest shock to her was calling elders by their first name. Machado said Martirez has invested much into the golf program at CBU. “She has really embraced this team and what we stand for,” Machado said. Not only has Martirez learned about the importance of being team-oriented,but she has also been awakened to the importance of the mental part of the game. After college, Martirez said she is not sure if she wants to pursue playing golf professionally. She said she has always dreamed of moving to New York to become a broadcast journalist.